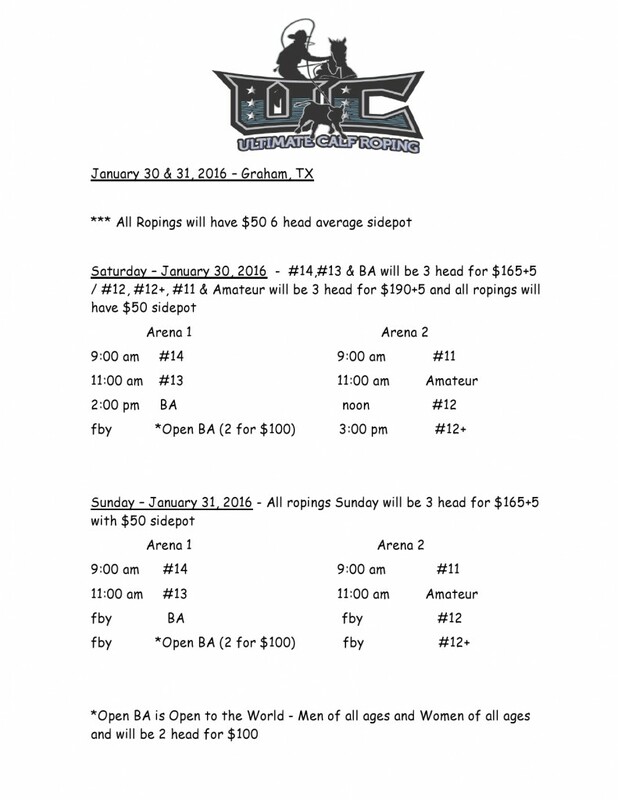 Ultimate Calf Roping competition comes to Graham, Texas on January 30 and 31, 2016. Ultimate Calf Roping championships is for all calf roping fans and participants, regardless of their competing level. Come out to the Young County Arena and see the finest in calf roping. This entry was posted on Wednesday, January 27th, 2016 at 12:33 pm	and is filed under Events, News & Updates. You can follow any responses to this entry through the RSS 2.0 feed. Both comments and pings are currently closed.